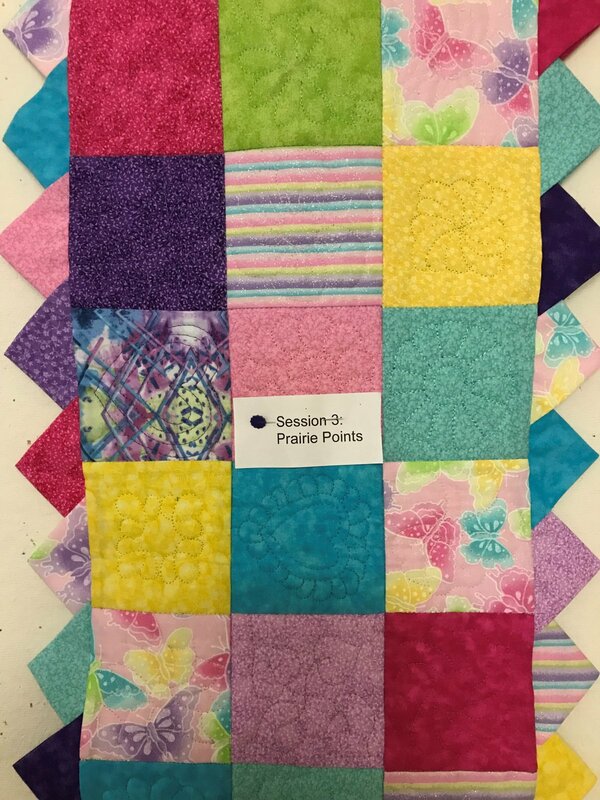 In session 3 you will first sew a patchwork quilt with 31 squares. You will add prairie paints to all of the edges. You have the option of bringing in your own quilt square (or 4 squares) and add prairie points. Sewing machine in good working conditions. Students need to be familiar with the operation of the machines.